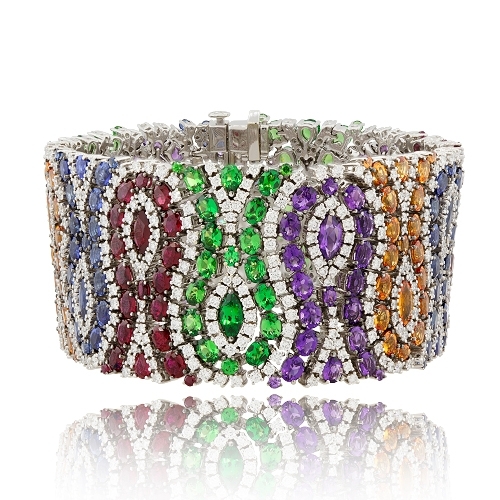 Striking Wide Bracelet composed of diamonds, blue & orange sapphires, rubies, amethysts & tsavorites in a mesmerizing design all mounted in 18k white gold. Diamonds approx. 9.00ct.